Ben Adam-Smith shares 10 tips for creating a budget, which is detailed and realistic. 1. Start a budget… and keep fine-tuning it! The greatest sin is to be casual about this. A budget is an essential part of any construction project, and even if you haven't done this before you must get to grips with it. And budgets do not stay still. They will evolve with the project as more decisions are made on what is going to be built and how. Initially your budget is going to be rough, but by nailing down (or playing with) a few variables you can start to get a broad picture. It starts with land. What will be the finished value of the house on the street? You can come up with a figure for this by using websites such as RightMove to look at what other houses nearby have sold for. This will help you pin down a ceiling value and from there you can work backwards. What is the floor area going to be? What will be the build quality? What build route am I going to choose? The self build magazines all have useful ‘cost per square metre' tables that allow you to fill in the following equation. The build cost is not all encompassing (as may seem logical to the uninitiated). So remember that there is lots more to consider than just the basic shell of the house, however finished that is. There will also be things like the architect's fees to factor in. If you're creating a budget you need a contingency. There will always be unforeseen costs. If the professionals need a budget then so do you! The jury is out as to what percentage of the overall budget it should be. For first-timers a minimum of 10% is a good idea. For those who have more experience, maybe it will be closer to 5%. Needless to say most people dip into their contingency. 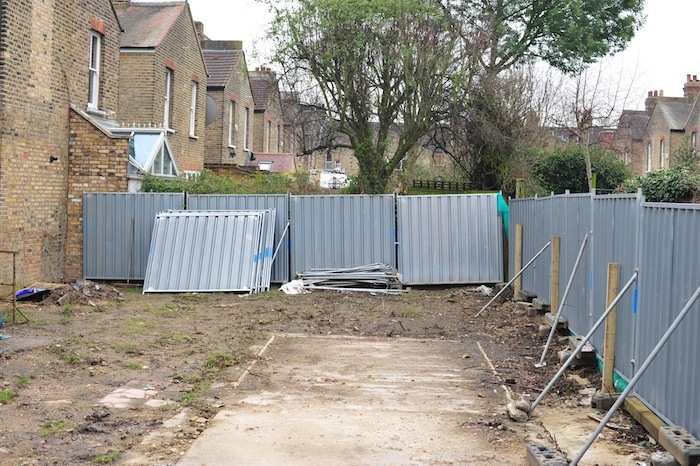 Groundworks can often be a stage of the process with the biggest risk of an overspend. The problem with people who worry about cost is that they want to make as many cutbacks as possible. Sometimes consultants can seem expensive, but you've always got to remind yourself of the value they deliver. Having a strong degree of cost certainty is a wonderful thing. And what better way is there of getting this than someone that does this day in day out. When you discover that you can't buy your dream plot for the money you thought you could, there is a temptation to spend more. Unless you are consciously increasing your budget and can afford to, it's dangerous to start down this road. Spending more early on means spending less later in the project. This is of course possible if it's thought through but there has got to be a balance. It just doesn't make sense to have the most amazing site, and then really be scrimping on what you build on it. Adam Cohen had a buckets approach to the budget, whereby the buckets must balance. He says the bucket with the most flexibility is the ‘finishes' bucket. If money is tight, the logical thing is to build something smaller! If you don't think this option is right, then for heavens sake don't scrimp on the building elements which will be really hard to change further down the line. For example, reducing the specification of the insulation will save money but in the long term it's a false economy. Perhaps a better approach is to keep that investment in the fabric of the building and specify a cheaper kitchen. Kitchens can cost £5000 or £50,000! And it will be a lot easier to replace the kitchen than increasing the insulation levels at a later date. If you discover you don't have the finances to see your project through, be brave and bring things to a halt. It may be a hard decision to make – particularly if you will lose some money in the process – but ending up with a half-built house will be a lot more stressful. Don't be a victim of the sunk cost fallacy. And being flexible may allow you to phase parts of the project. For example, perhaps you can build a house but it's the garage that will have to be put on hold. If you make this a project priority, then you can enter into an agreement with your chosen architect/design that they must provide designs that can be built within the budget. And if they don't end doing this, then the plans are deemed not fit for purpose and will not be paid for. The good thing about this is that an architect/designer who does agree to this approach will go out of their way to keep the project on track. You can and will make savings on your project, but make sure these do not get immediately spent on something else. Instead put them in the contingency fund. What are the hidden costs of building a house? 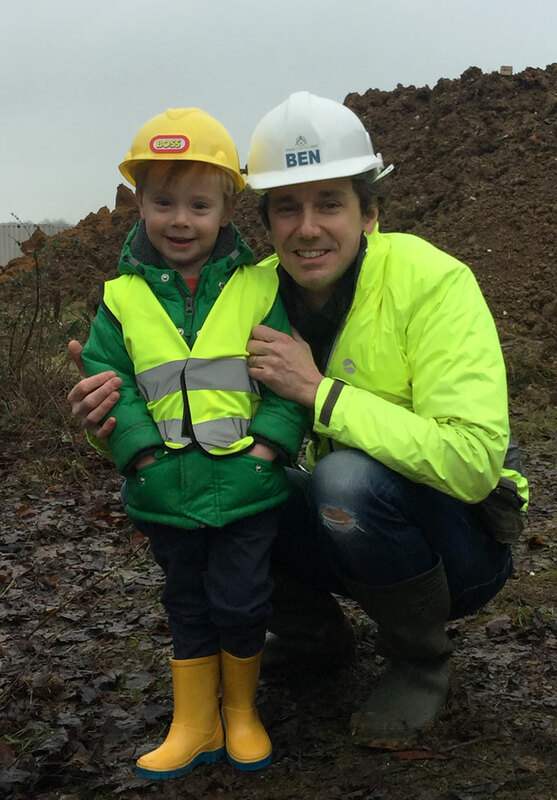 Ben Adam-Smith reflects on what he's learned so far during the construction phase of his self build. The project is halfway through and the finished house will meet the Passivhaus standard. If you're a first time self-builder I'd wager it's taken you a number of years to get to the build! You've probably spent time dreaming and then looking for land and then going through the design process. For all this work you have nothing physical to show. So when it actually gets to the build and you have a team turning up on site every day, the progress is marked. Yes, you've got this all in a schedule but sometimes things don't register until you see them! I visit site two or three times a week and I'm always amazed what they've achieved. 2. Your team is probably bigger than you think! Hiring a local contractor may give you the impression that you are hiring a small team. However, building a house requires a great many skills. That means your core team will use sub-contractors where they see fit. Sometimes this might be for speed. For example, brick-layers were drafted in when the superstructure was going up (even though the core team could have done this). Or it could be a specialist skill is required such as electrics, plumbing, laying a screed, etc. You can’t do anything without the materials. They need to be on site in the right order and ready when needed. Sometimes a lot of progress can be made in a single day. For me, a great example was when the beam and block floor went down. 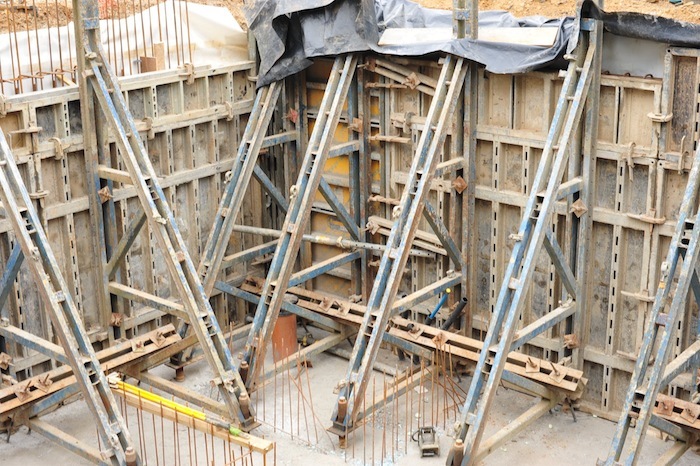 Organising the precast concrete beams and filling in the blocks happened in a short space of time. Watching this process you see people with their different roles. One person will be operating the telehandler and just bringing new packs of blocks. Another person might be distributing these blocks, while another person is technically doing all the building (and laying them)! Watching the construction phase unfold before you it is clear that everyone is contributing to the finished product. Perhaps more so on a masonry build like mine, because there are so many little elements that come together. 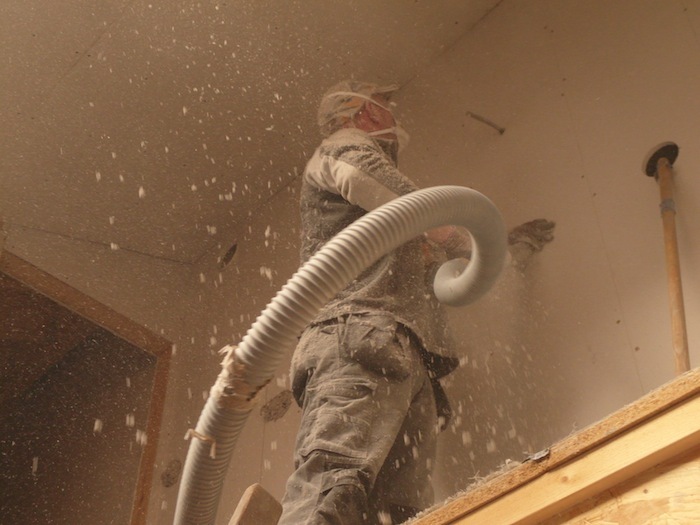 Whether it's mixing cement, laying blocks, putting in insulation, or the thousands of other little jobs, everyone must be putting in 100% to have a high quality finish. When you take on a self build you are aware that a lot of decisions are coming your way. The good news is that these don't come all at once. There are definitely moments when the decision-making intensifies. One of those is during specification. The second peak is during construction. As we put a lot of detail into our tender documents we thought there wouldn't be that many decisions to make during construction. Wrong! If you've left any PC sums then get to work as soon as possible. Your contractor is not going to want to be delayed and may apply pressure accordingly. The whole way through we've been asking our contractor what is next, what is next? Thus we have stayed ahead of the curve so far. I try to get to site every two to three days. Why? Well, firstly I love it. I've seen so many other houses come to life that I want to make the most of seeing progress on mine! It's also a great way to build relationships. I always aim to know the name of everyone working on site and find out a bit about them. When you're knee-deep in emails and texts, I like to balance that up with real life contact. The other reason it's useful is that you can often answer questions or pick up on little things. Finally these site visits are good for understanding your house. I may have stared at plans for hours but everything becomes clearer when you can see it in practice. Throughout a self build issues will arise. At the time it can feel like the end of the world. Of course, with a positive mindset there's a way through. Normally a bit of discussion and a few decisions can get you back on track. I've tried to embrace the philosophy of not changing my mind too much during the construction phase. This is sound advice because there can be ramifications to changes (which will translate to delays, additional cost and crushing morale). However, some aspects are not set in stone and can evolve without much or any extra work. I guess it's about catching those things in time. One example of this on my project was the nagging thought that we'd put too many bathrooms in upstairs! Initially I vowed to live with it. The thing is that it hadn't happened yet. And the more we thought about it, the more we realised this space could still be useful, just with a different purpose. So, for now it's for storage. Who's to say it doesn't transform as we need it. 9. Masonry construction feels old-fashioned! My build is a masonry cavity wall construction, which is both traditional and popular in the UK. It's often chosen because there's a solid skill base available and it's cost effective. However, sometimes it does seem quite manual. All that said, it is still the main way we build things in the UK. Who knows how you change an industry? 10. Being a client is a full time job! We have hired an architecture firm and have a main contractor. It doesn't get much easier than this. Even so, it's still been exhausting at times! So don't overstretch yourself. If you're planning to project manage, for example, make sure this is within your skillset and you realise what you're taking on. I cannot fathom what it would have been like with extra responsibility on my build! Ben Adam-Smith looks at some of the reasons why his tender returns might have been so high. He then sits down with his wife Kay to consider possible savings. Why were our tender returns over budget? In episode 207 Kay and I received our tender returns and we got a shock. We had budgeted £400,000 for our house build but our returns were a lot higher! Before we consider how we might get back on track, I'm going to ponder reasons. Over time prices will naturally go up. The market is never static. However, could there be a bigger change going on at the moment? The obvious culprit would be Brexit (although it's almost impossible to verify). Dan Higginbotham from Parsons + Whittley specified our project, but he also specifies a number of projects that pass through their offices and he can spot trends. Dan told me: “We have seen a 12-20% increase on certain masonry projects over the last year.” He's noticed the cost of labour has risen on their projects too (between 3-5%). As the design process takes a number of months, by the time the tender returns are opened the cost of the project can have risen significantly. Before we opened our returns Chris Parsons had warned us that several recent returns had come in much higher than anticipated. Anyone who has tried to buy a property in London will know that it is expensive! If living in London is expensive, does it follow that everything else is expensive too (building contracts included)? Although we're not building in London, we're probably in the next most expensive place: the home counties. Our architecture firm, Parsons + Whittley, is based in Swaffham, Norfolk, and I believe there are differences between the regions. On a self build you personally get to choose the quality. From the outset we budgeted £2000 per square metre, which I always think of as high end. However, it doesn't mean you can just have anything you want (particularly when you're designing a Passivhaus)! Perhaps Kay and I were guilty of getting carried away. 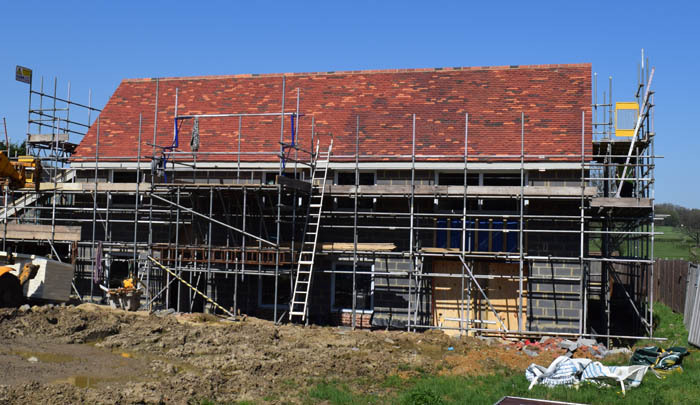 We have specified handmade bricks for the plinth, handmade tiles for the roof and the walls are thick lime render (which requires a specialist skill). 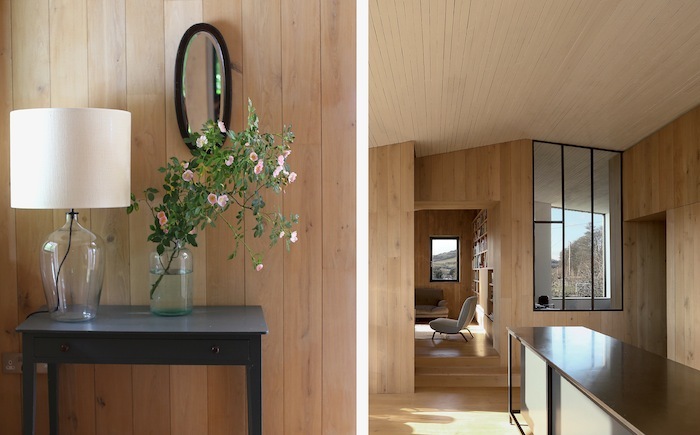 The interior also has recycled timber flooring, four bathrooms to kit out, and a couple of bespoke designed units. Knowing how much money can be sunk into kitchens, we've gone with fairly standard units . . . but our interior designer has helped us accessorise to make it seem more luxurious. Some of these extra fancy bits are expensive. First I must point out that this headline is slightly misleading. When we bought the plot of land, the extant consent was for a house of over twice the size of what we plan to build. However, when I did my initial sums with the land equation (land cost + build cost + 20-30% profit < value of the finished house) I based it on a house of 200 square metres and a specification of £2000 per square metres. These rough calculations were not stress tested at all. I didn't envisage building a house of 226 square metres. And, I'm somewhat embarrassed that I made no allowance whatsoever for the garage (28 square metres). Although it will cost less to build than the house, we are probably still talking £1700 per square metre. Due to the proximity of our house to the neighbours, we had to sink our home down by 0.5m in order to gain planning consent. This had knock-on effects. Initially we had imagined spreading the spoil across the half acre site, but the soil was poor quality and had to be taken away costing £9000. If contractors haven't tackled a Passivhaus before there is a risk factor, so perhaps they add on a little extra to take that into account. Having received the cost breakdown from the contractor who put in the lowest bid (£612,234), the next part of the process was to look at every possible change to bring the cost down. Dan Higginbotham from Parsons + Whittley put together a spreadsheet of some ways we could to reduce cost. When severely over budget, like us, the most sensible thing would have been to reduce the floor area of the house. Reducing the building by 1 metre could save us £25,000! However, we're not that sensible. Some savings are easy to make . . . Going through this list of potential savings is a peculiar exercise. For example, we had originally specified a resin driveway. 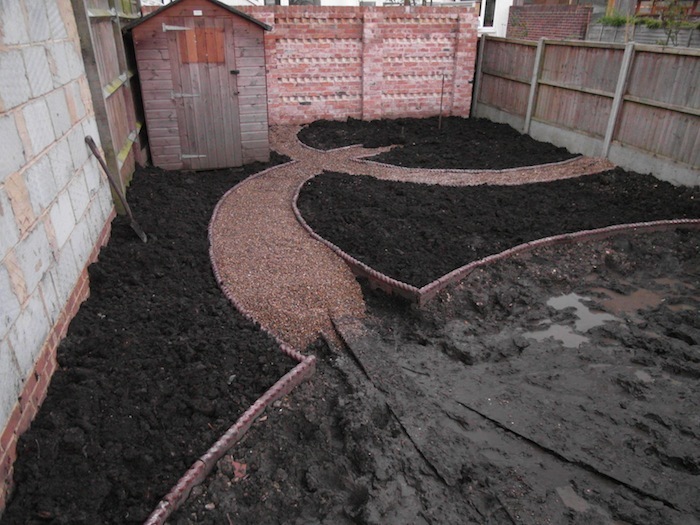 We weren't convinced about this at the time we made the decision, so changing it to gravel not only saved us £20,000 but probably was more in keeping with what we want. Some savings are not so easy to make . . .
Nobody likes to go through their beautifully designed house and take out all the bits that they liked. A good example here might be the lime render we'd specified on the outside of the building. We could have reduced the thickness or even specified another type of render, but I think both Kay and I agreed we hadn't come this far to compromise on things like this! Obviously not everybody will have this luxury, but we decided that paying more was the way to go. So we've come in between the £400,000 original budget and the £612,000 contract value. Chris Parsons from Parsons+ Whittley outlines a traditional procurement route. And Ben and Kay Adam-Smith receive their tender returns. Ben and Kay Adam-Smith are building a family home to Passivhaus standard and have hired architecture firm Parsons + Whittley to design this house. In episode 205, Technical Director Dan Higginbotham explained how the tender package was put together. Now five shortlisted contractors – sourced mainly through recommendation – are quoting for the work. What is a traditional procurement route? This is when the architect, working on behalf of the client, produces a comprehensive specification and a highly detailed package of drawings. Potential contractors then use this information to price up the job. The more detail there is, the more realistic the pricing will be (and like for like comparisons then become possible). For this tender process the contractors have been asked for the contract sum, how soon they could start and how long they would take to carry out the work. Chris has also asked for a detailed price specification, although he is aware that the contractors may not produce this (perhaps because they've priced it in a different way and can't easily produce the document). In order to make this fair, a procedure is laid down of how to invite and receive tenders, what must be done once they are opened and how errors might be adjusted, etc. On top of this, a company's professional reputation would be at stake should any foul play go on! The client will generally be the one to open the envelopes (again, to see that everything is above board). All these numbers will be kept confidential until one contractor has been engaged. Only then will the figures be released, so as to give the contractors feedback on their pricing. After waiting for the clock to strike midday, Kay opened the returns that had come in. The budget of £400,000 was quickly blown out of the water! Despite working hard to make sure the contractors were a good fit and wanted to price the job, one still withdrew. And another had to be disqualified after it arrived late. Look at Contractor 1's pricing in more detail and explore what savings can be made through value engineering. As this podcast is somewhat behind the actual timeline, Ben is actually underway with his build! Subscribe to our YouTube channel to receive all updates. Architectural technologist Dan Higginbotham from Parsons + Whittley Architects talks about producing construction drawings and a scheme of works from an architect’s design. 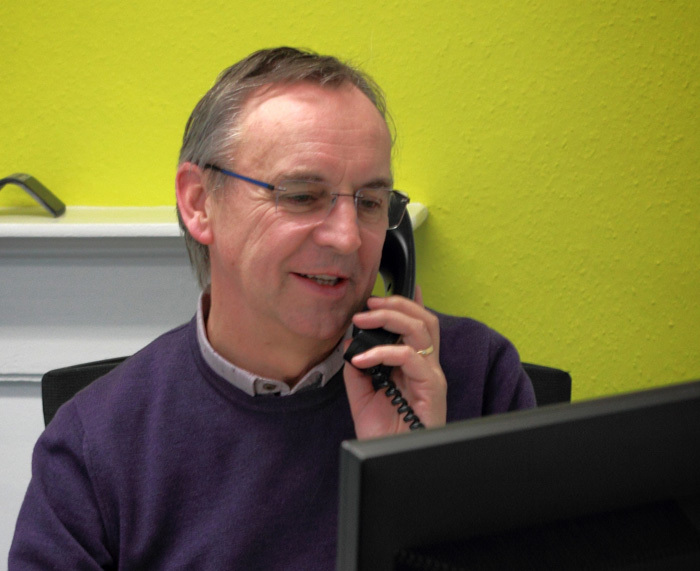 Dan has worked with Parsons + Whittley for over 15 years, as an architectural technician and now also as a director. He has recently been working on Ben and Kay’s project and previous work includes housing developments built to Passivhaus standard. For a Passivhaus like Ben’s, more detail is required to ensure airtightness and avoid thermal bridges. Dan explains that there’s less risk with a house only satisfying building regs, as it would probably still pass if not sealed to such a high standard. Dan admits that things can get missed during this complex process. He tries to avoid this by following the same method each time but this is hard as he mostly works on one-off projects. Up-to-date knowledge might come from “build indexes”, forums, word of mouth, or working for a particular client. For example, a housing association might require modern construction methods or certain levels of sustainability. Dan has also found big social housing sites useful for finding out about cost-effective materials or shortages. A shortage of materials could affect how you design or build things. Ben and Kay’s house will use a traditional cavity build method but this decision was threatened by a shortage of concrete blocks just before work started. 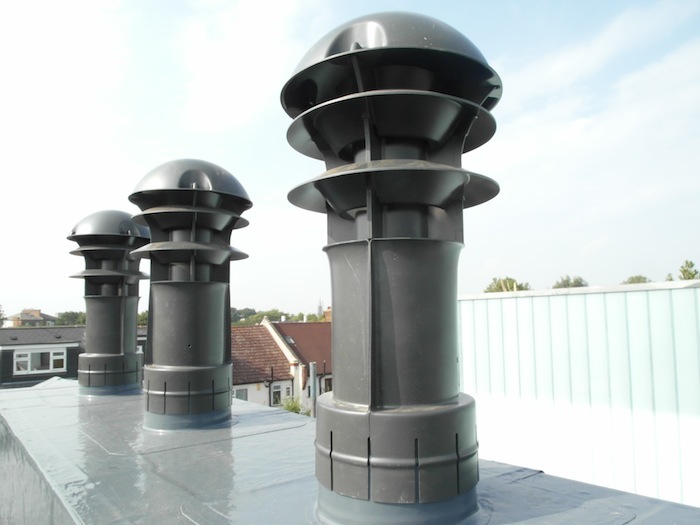 Likewise, a current shortage of PIR means seeking alternative insulation materials. Deciding on construction materials and methods is a whole team process, with input from Dan, architect John, and practice partner Chris. 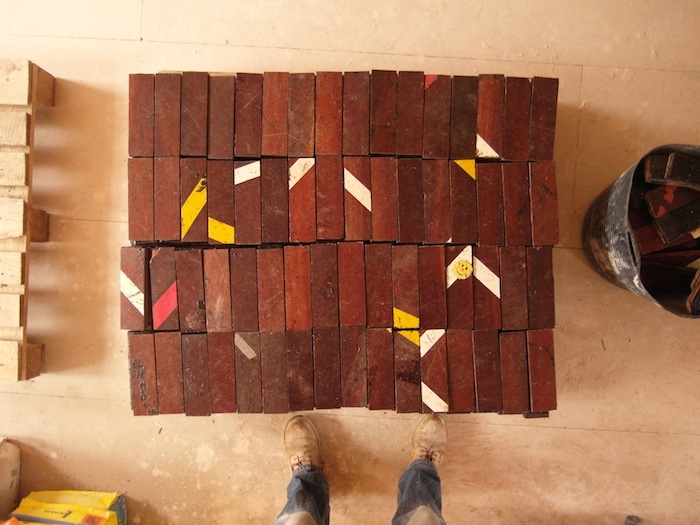 It helped that Ben and Kay had already selected the finishes of the building envelope. 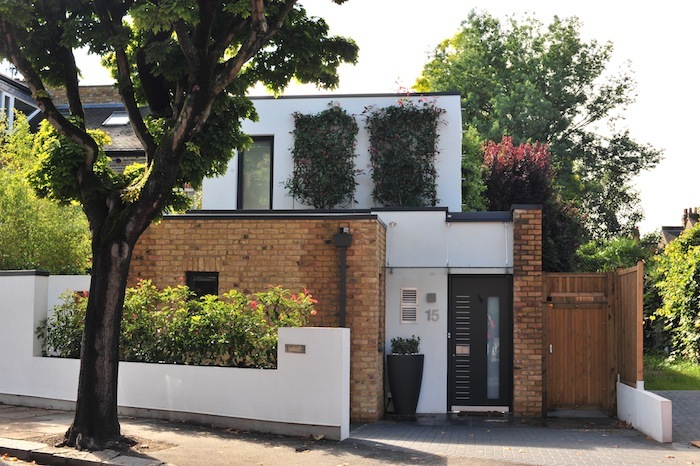 The render finish and brick plinth suggested a cavity wall as cost-effective and simple to build, albeit with more insulation than is traditional. Looking at drawings for Ben’s build shows the level of detail required. The elevation showing the joinery specifies some items that they will not necessarily end up with. 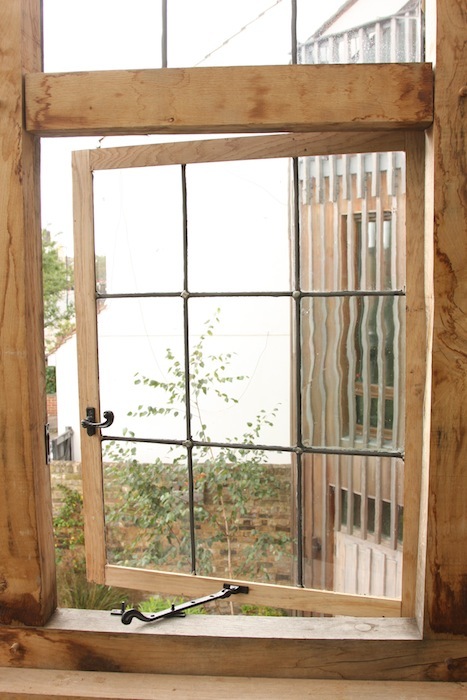 For example, after various discussions, an alternative supplier may provide the windows. Dan says this is quite normal: he prefers to obtain an accurate cost from a supplier rather than leave the cost as a provisional sum. The floor plan shows 150 mm of insulation in the cavity wall, enough for this relatively large property to get through the Passive House Planning Package. 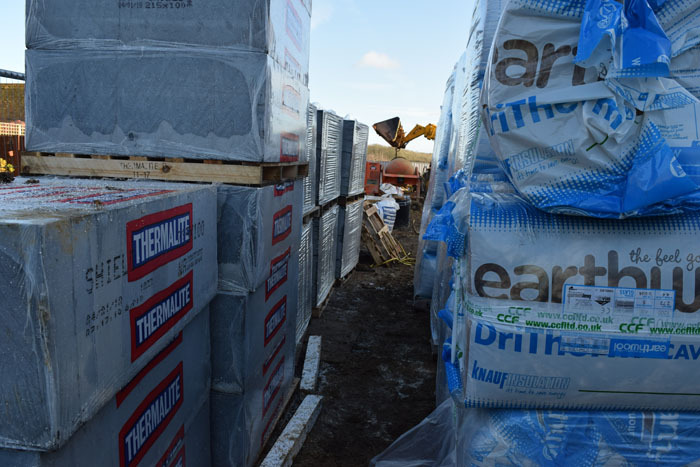 Although Dan specified high performing Knauf Earth Wool (with a thermal conductivity of 0.032 W/mK), the contractor may choose an equivalent mineral wool. The section of the different floors shows lots of junctions that need to be considered, especially because it’s a Passivhaus. Dan tended towards methods and materials familiar to most builders rather than potentially expensive ecological features. 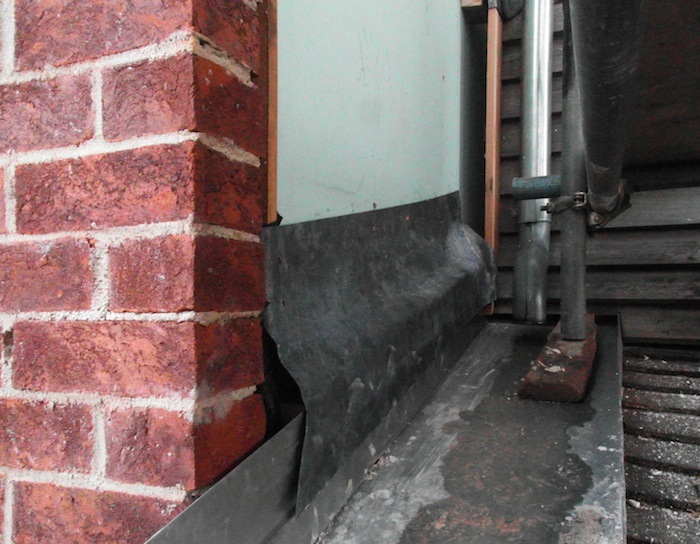 A strip foundation supports a cavity wall construction. The first floor is beam and block containing PIR insulation to give a thin but solid construction with the performance needed. Above is a screed with membranes and airtightness products in between. The floor and walls specify a very lightweight Aircrete block to get the best performance while minimising thermal bridging at the junction of the wall and floor. The internal walls are traditional studwork or blockwork where necessary for support. The second floor uses a pre-manufactured metal web floor joist (or Posi-joist) that gives a structurally sound floor with space to route the MVHR and other services without having to laboriously cut holes. At the top is a fairly standard, traditional truss roof, with a more complex catslide roof to the rear. To avoid complex steelwork and associated thermal bridges and/or airtightness problems, the roofing truss suppliers came up with a truss that could form the catslide as well. Drawing more sections is useful where there are difficult details in the building, including all the junctions. Where each part of the building is different, more drawings may be required. Ben’s Passivhaus is fairly linear, but Dan was careful to show all the construction details so nothing would be missed. The four sections include one of the garage, one “typical” house section, one of the stairwell arrangement, and one showing the ground-to-first-floor French door, window and boarded panel arrangement. A flexible space, for example the spare bedroom doubling as a study, can take more time to work out, as he explains to Ben, “Once we’ve actually physically got the space on site, yourself and Kay might then go, ‘No, actually I want a few more sockets here.’” This is typical of the process: educated guesses on paper are reappraised once the rooms are built. 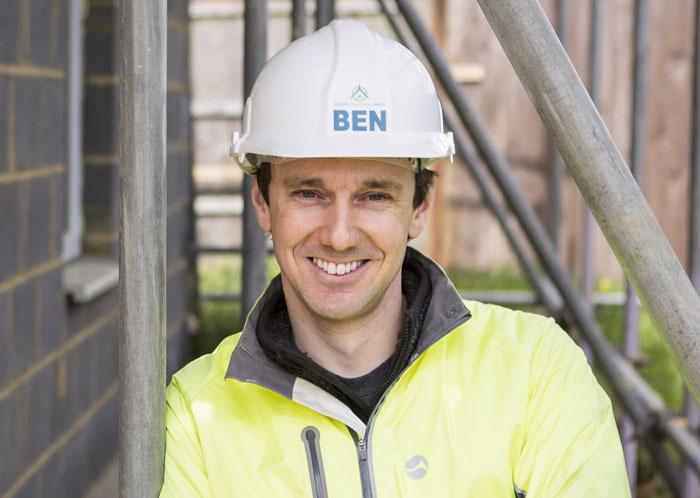 Alan Clarke is the consultant for the mechanical systems on Ben and Kay’s project: the MVHR design, the hot and cold water supply and heating the property. Dan and the design team work with Alan on decisions like budgeting for the right boiler and the site for the MVHR. A major consideration is distributing the ductwork within the property. Most of the pipework is routed through the open webs of the intermediate floorspace with additional risers to the first floor. On the second floor landing a false ceiling provides a service void where ducts are routed to each room. After completing the drawing package, Dan itemises every detail in the schedule of works. Reading this document alongside the construction drawings enables the contractor to produce a priced specification and to understand the methods and materials of the project. 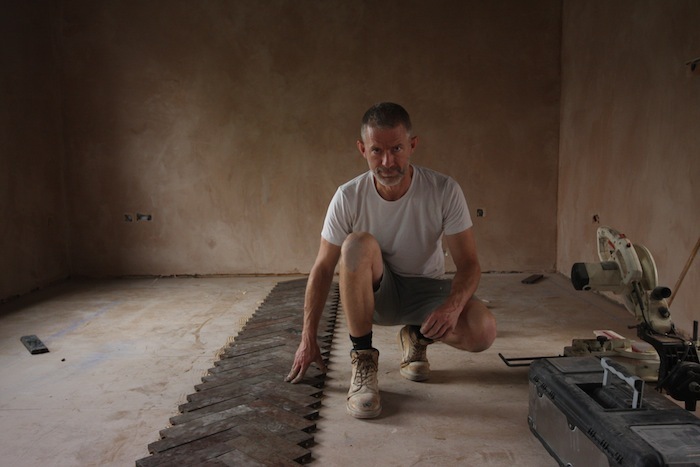 Author and self-builder Will Anderson talks about realising his self-build dream not once but twice! 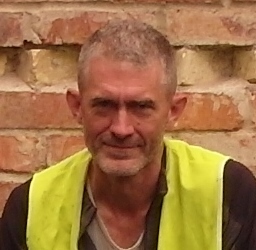 Will describes himself as “a writer, actor, builder and craftsman”. His account of his first self-build was published in The Independent newspaper and is now available to buy as a book. His previous work has included writing and contributing to other publications with an environmental angle. Around the year 2000, Will Anderson and his partner snapped up a rare South London plot. The very big tree it housed inspired the name and design of Tree House: a house that would work like a tree. Wanting to do their very best for that plot meant building a house that was not only wonderful to live in, but had the very best ecological performance. Will was interested in the Passivhaus standard and had even contacted Wolfgang Feist, but in 2004 it wasn’t an established approach in the UK. 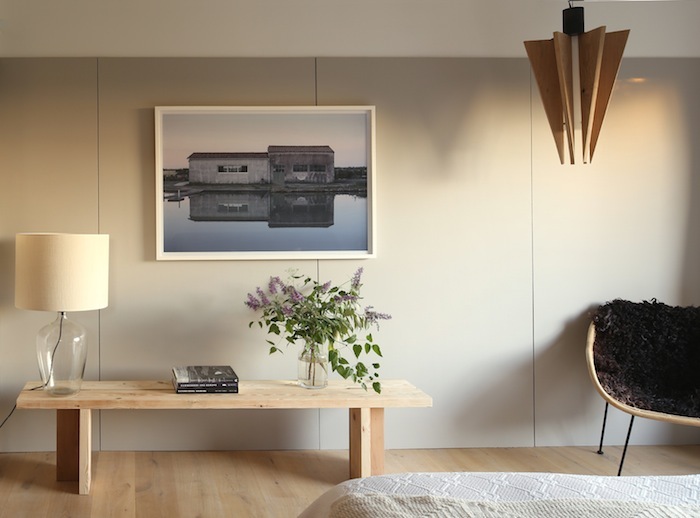 So Will worked with his architect, Peter Smithdale of Constructive Individuals, to deliver a house that was self-sufficient in energy and “zero carbon”. To manage this meant combining a fabric first approach with “quite a lot of technology”. Tree House was detached, but they knew that eventually it would become semi-detached, as there was a plot next door. Thinking ahead, Will avoided putting windows on the northern elevation that would become a party wall. The people who owned the garden in question appreciated the consideration and gave him first option when they decided to sell the land. He took the chance to build his second house, The Orchard. 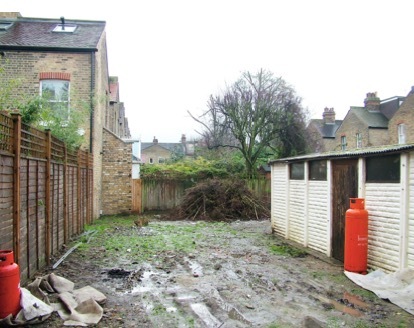 Building onto a detached property presented some challenges. For example, the render board had to be removed from Tree House and another timber frame wall built and filled with insulation. Furthermore the two walls couldn’t be attached (apart from some metal ties at the very top) to ensure acoustic isolation. Will wanted The Orchard to use less technology but still be very comfortable. This meant improving the fabric of the house in order to cut out the heating system. Contractors and materials were more familiar with Passivhaus principles by then and The Orchard benefitted from a purpose built external airtight layer. Helping finish the building of Tree House gave Will enough confidence to get more involved the second time around, although he says, “You need to know your limits, obviously”. So, even though he had done a bricklaying course, he called on an experienced bricklayer when he lost confidence on the garden wall after the tenth course of bricks. Some subcontractors will have their own helpers and will want to do all their work on their own terms. But Will says there are others who won’t mind you joining in. For example, given Will had some experience, the frame company, Touchwood Homes were very happy for him to lend a hand. Although he started without any craft skills, Will learnt a lot of trades to build The Orchard, including ceramics, even making tiles from their excavated foundations clay. To find the right course Will recommends trying out what’s local. He found one reasonably nearby in Croydon, where he learnt joinery, bricklaying and plastering. He went further afield for the more specialist skills: cabinet making in Kent and stained glass making at the Working Men’s College in North London. At the design stage, Will was already thinking about how to incorporate these crafts aspects, meaning careful planning was needed. He admits it was tricky to move between design, doing courses and starting on site and keep it all going at the same time. For example, the open-plan kitchen in the main living space had to be part of the overall design to make sure it would fit in: it was built long before the house! 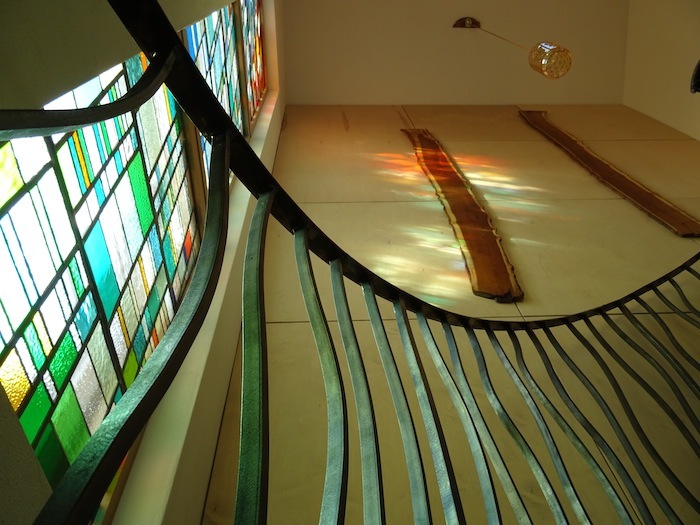 Likewise the two-storey, triple-glazed, staircase window, finished with stained glass, was always part of the design. Will says that self-building with no experience isn’t so hard if you get the right people to do the right jobs and you have enough patience. Understanding how the building industry works is important too. For example, Will advises being flexible rather than getting frustrated if builders don’t start when they said they would. “In the building industry, that’s absolutely standard. Not because builders are unreliable, but because people’s timetables and schedules are always shifting,” he explains. 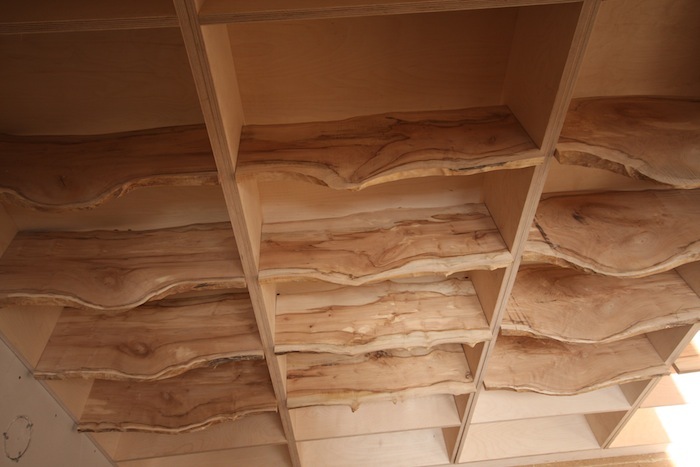 Will has used reclaimed materials in both houses. For example the parquet flooring uses African, Australian and Asian woods that would be impossible to source sustainably today. Modern glues can “recharge the bitumen”, so it didn’t need to be removed. This made the process easier but it was still labour intensive, especially as each room used a different wood and a different pattern. 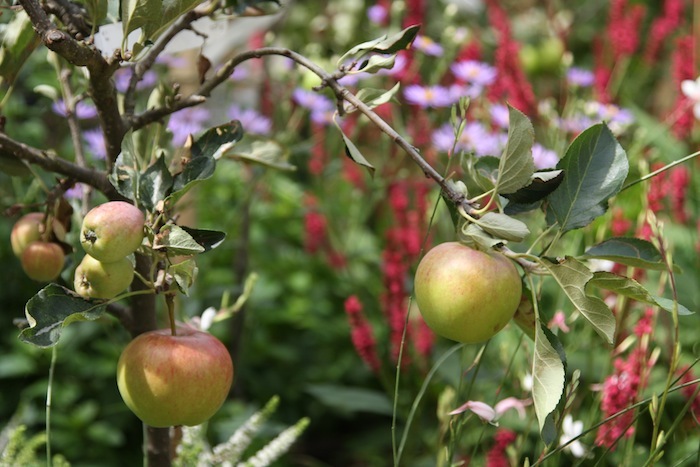 As the name suggests, Will wanted to build an urban orchard. He knew he wouldn’t get big machinery to the back of the house after it was built, so before he started building he replaced a lot of the poor soil with “really good quality muck”. Now the front and back gardens are densely planted with fruit trees and outside the thermal envelope are a larder and a conservatory where Will grows more tender fruit. Ben Adam-Smith reflects on how he's changed while making 200 podcasts about self and custom building. He also looks at how the podcast has changed with him. As part of celebrating my 200th podcast I wanted to create one more special episode. Last time I shared 20 self build tips learned from 200 podcasts. In this session I want to look at how I have grown in my understanding (hoping that I have!). So, I've dipped in and out of the archive to try and pick out some key moments and themes. I’m going to review blocks of 50 episodes at a time. My purpose for starting the podcast was to learn about building an ecologically sound house. I wanted to use my media skills to interview green building experts. However, this soon included chats with self-builders who had been there and done it. I expressed a love for architecture but also a feeling that too many buildings today were not up to scratch. Back in 2012 I was also upset that a lot of buildings in my local town ‘were not in keeping' with what was already there! Although I will never stop asking this question, the first 50 episodes were undoubtedly about me finding my feet and trying to collate my thoughts. And I had some great teachers! I was lucky enough to discover some key organisations, too. Pat Wilkinson from Touchwood Homes told me about the AECB. From there I got introduced to the Passivhaus Trust. And a big moment came when my production company Regen Media starting producing video inserts for the UK Passivhaus Awards. These first few podcasts really helped me understand some key factors such as scale, choice of materials, etc. It also made me appreciate how much logic was wrapped up in the Passivhaus methodology. However, the big learning was that when built well, eco homes can deliver a very high level of comfort. And this is extremely desirable. If people can just understand what they're missing out on then they may seek out ecologically sound buildings by default. At the end of my first year of research I decided to create an e-book called Why Most People Don’t Build Energy-Efficient Homes. The fundamentals are also available in our free Eco Design 101 course. Compared to new build, transforming existing properties into low energy buildings was clearer much harder. And there was clearly debate over how beneficial these makeovers might be. My chat with Roger Hunt, author of the Old House Eco Handbook, hammered home the importance of historic fabric. Three important connections were made during this period. Meeting Mike Coe (in episode 54) was definitely a big moment. He and his partner Lizzie were the self-builders behind the Autonomous House . . . but Mike is also a retired ITV News cameraman. In fact he came out of retirement to help me put together a documentary called The Future of Housing. Crowdfunded on Kickstarter, this aimed to highlight the importance of airtightness in delivering thermally efficient buildings. Everyone seems to know about insulation but airtightness is often forgotten. This can’t be done in isolation, of course. Build tight, ventilate right. The premiere of The Future of Housing was held in the Mildmay Community Centre (itself a Passivhaus retrofit project). In episode 58 I interviewed Chris Parsons about whether it costs more to build to Passivhaus standard. I was to bump into Chris a number of times in the coming years and eventually go on to hire Parsons + Whittley to design my new home. I met self-builder Alex Baines in episode 74 and his project ‘Long Barrow' went on to become our first in-depth video case study. This gave us a key piece of content to help launch, our online resource The Hub. With the birth of my first child James, life got busier! Finding time to visit potential plots was not easy, but we had the extra impetus that we were out-growing our home! While we did find a few suitable sites and put in offers, they generally went to sealed bids and we lost out. I shared what I'd learned during this time in an article called ‘why it's so hard to find land to build a house on‘. In episode 66 I talked about how inheriting money was going to make the practicalities of building a house much easier. This was the first time I suspected my ancestors were helping me. There's another one coming later! The overriding theme for this period is quite easy to pick out: focus. I'd been trying to produce a podcast that could be listened to around the world. While there are many commonalities, there are just as many differences. I was missing out on the detail of how to build in the UK. I'd also made up my mind that I wanted to build new, because this seemed a more logical first step (rather than retrofitting, which is more complex). In episode 110 I made a big change to my podcast. I announced that I was going to stop covering retrofit and focus entirely on the UK market. While I was sad about this, I definitely felt I'd reached a fork in the road. One aspect of going on a learning journey is that sometimes people want to know about it! Jackson Moulding invited me to give a presentation at Ecomotive's week-long series of talks and workshops on self and custom build! After interviewing Harvey Fremlin at the National Self Build & Renovation Centre I went on to do a talk at one of their shows. And I'm very pleased to have been invited back for a number of their shows ever since. Finally I went to the Houses of Parliament and became a panellist for an enquiry into the quality of new housing in England! The in-depth video case studies are at the heart of The Hub and we went in search of a follow-up to Long Barrow. I'm delighted that Jae Cotterell, co-author of The Passivhaus Handbook, got us access to one of her projects – Buckinghamshire Passivhaus. In episode 143 I announced that I'd failed in my quest to build an energy-efficient home before I turned 40. What's more, I didn't even have a plot of land. However, I wasn't about to give up . . . and my luck was about to change. My ancestors were clearly not impressed with my plot search and offered up this gem at the end of 2016! The theme for these most recent podcasts is action! Having spent years talking about it, I was finally taking big strides forwards. We sold our house (to partially fund our build) and moved into rental accommodation. My second child Emily arrived, making life even busier! The Hub is an ever-evolving beast and during this time we made some much needed changes. We also celebrated our first Hub member completing his build (Donal O'Leary). This has been an amazing journey. I have loved the learning and it's been a privilege to visit so many eco homes. 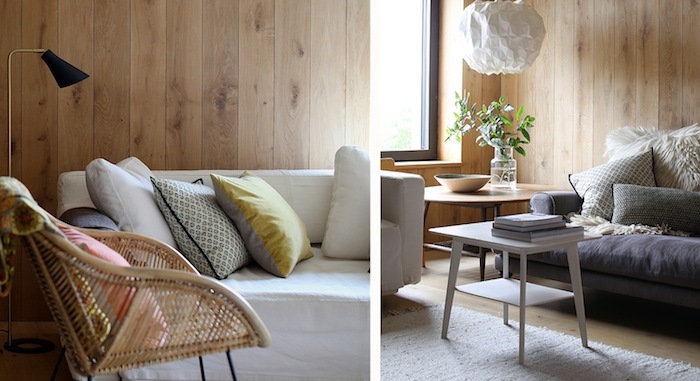 I feel I understand much more about what makes a great home and I have broadened my tastes too. Yes, I do love contemporary design now! On the flip side, I am less accepting of houses that choose to simply comply with minimum standards (building regulations). Ben Adam-Smith shares 20 insights about self-building that he has learned while making 200 podcasts and also tackling his own project. The road to building a house is a long one. There are also times when it can feel like it is never going to happen. Key challenges include finding land, securing finance, gaining planning consent and hiring a team. Just remember, where there's a will there is a way. You can use your time to increase your knowledge or supplement funds, etc! There are many forms of research but by far the most effective is getting out and about, and visiting real eco homes. Get inspiration. Chat to self-builders who have made it through the process and discover what they'd do differently next time. Watch out for events like the International Passive House Open Days or Brighton Eco Open Houses, etc. Sometimes there will be opportunities to get onto construction sites too. You might be lucky and have a garden plot to develop. Or perhaps you will buy the first piece of land you see! For most, though, this is one of the greatest challenges to overcome. And it goes without saying that urban plots can come with a hefty price tag, which is why relocating to where land is cheaper and more easy to come by is a smart move. Yes, it may mean leaving an area you love or moving further away from work, etc. If you are prepared to make this sacrifice then it may save a lot of time. 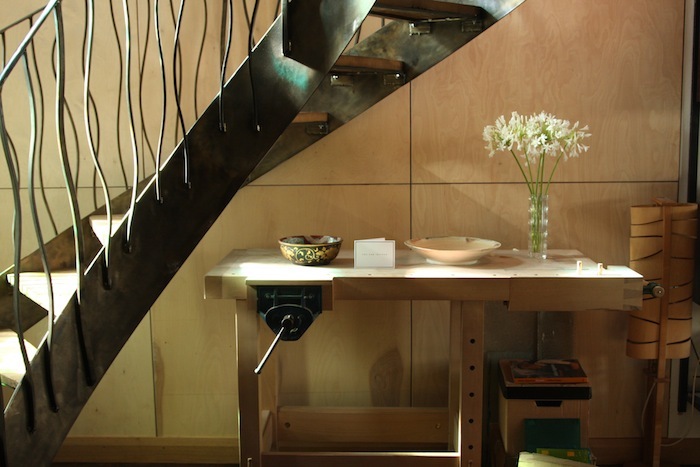 Custom build aims to make it simpler to build your own house. This video explains how it works (with an example in the Midlands). The benefits are that the land is much more affordable and, with initiatives like Right to Build, the local authority has a duty to make land available to potential self or custom builders. One of the downsides is that you are unlikely to get a plot in open countryside (which is perhaps what we all have in our minds!). The point here is to get over it! Even if you can only build on the edge of a developer site it is surely better than nothing? And quite often self or custom build streets have a great identity. Buying land is much like buying a house: legally, there's a lot to get your head around. Sometimes it can be even more complicated than buying a house! So, make sure you know what you're getting yourself into. There's a lot of money to be made in buying and selling land, and that means there are a few sharks out there. Hiring an experienced solicitor, whose daily business is land sales and acquisitions, should give you confidence going into this transaction. There are various procurement routes for building a house. At one end of the spectrum are package builds and hiring a main contractor, while at the other end is self-managing or even building with your own fair hands. If it's your first time building a house, be careful not to take on too much (and perhaps underestimate what's involved and how it will impact on your enjoyment of the project). 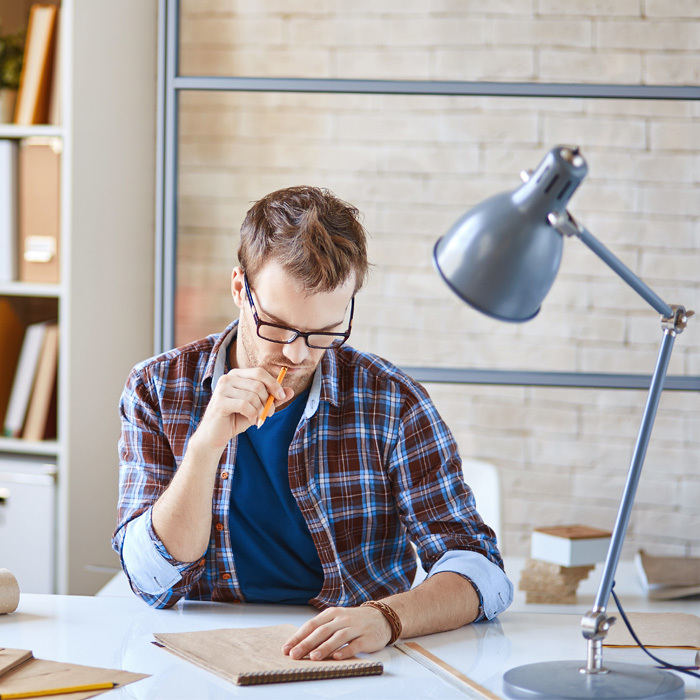 Even just being the client can be a time-consuming and draining process. Constraints are not always bad. Yes, you have to be careful of building on slopes and make sure you understand the extra cost that it will incur. 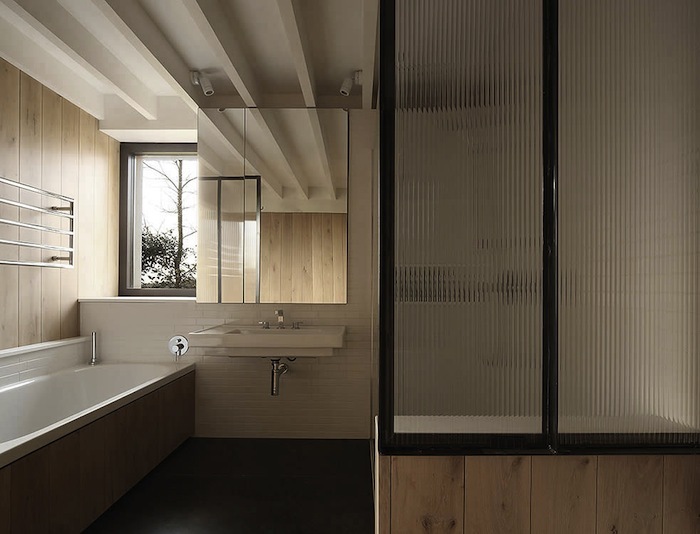 In some projects, the constraints are not necessarily financial. For example, on my own project the majority of land is green belt and only a small section falls within the village boundary. That actually makes the decision of where to put the house quite simple! Constraints can also add character to a building. At Lime Tree Passivhaus the house had to arc around the root structure of a dominating lime tree (with a Tree Preservation Order on it). However, the constraints have led to a unique home, full of character. Architect Sarah Susanka taught me this one. It's a great tip because it's so easy to grasp. And it lets you have the things you want . . . so long as you use them! Building new is a huge opportunity to build for what's best today. This includes making the most of light, energy efficiency, comfort, etc. While Victorian and Georgian housing stock is treasured in the UK, recreating these styles doesn't make much sense. For example, fireplaces and chimneys are pretty much redundant when buildings can be airtight (and meet Passivhaus standard). If you like the idea of building a house to Passivhaus standard, be wary of being dissuaded by those who haven't done it or people who don't sell products that can help achieve it. Take advice from people who have been there and done it. Once you've built a Passivhaus, very few people turn back. The process of building a house can take years, so when it comes to putting together your team it's important they are people you can get on with. Yes, they need the skills but everything will feel a lot more enjoyable if there is harmony on all sides. Unless you are experienced with managing budgets or you have a finite sum to play with, it is easy to spend more money than you planned! A few things run through your mind. You're only doing this once and it's your only opportunity to get the things you want. You can pay for it later! Of course nobody can stop you doing this, but it will have repercussions. If you're struggling to find land it can be easy to assume more money will solve the problem. A splurge in one area will therefore mean reducing the budget in other areas or spending more overall. Fixtures and fittings is another area where people can get carried away. Remember, if possible, it's better to build a slightly smaller house of higher quality than stretching to something bigger and then not being able to finish it properly. Not all decisions carry the same weight. The land you buy, the build route you select and the team you assemble will have a major impact on your project. Yes, the devil is in the detail but making the right ‘big' decisions will in turn make it easier to concentrate on the small stuff. Check out our podcast with Lloyd Alter from TreeHugger. Nobody likes spending money when they don't have to. However, consultants can add value (and even pay for themselves!). For example, on my own project I hired an interior designer. 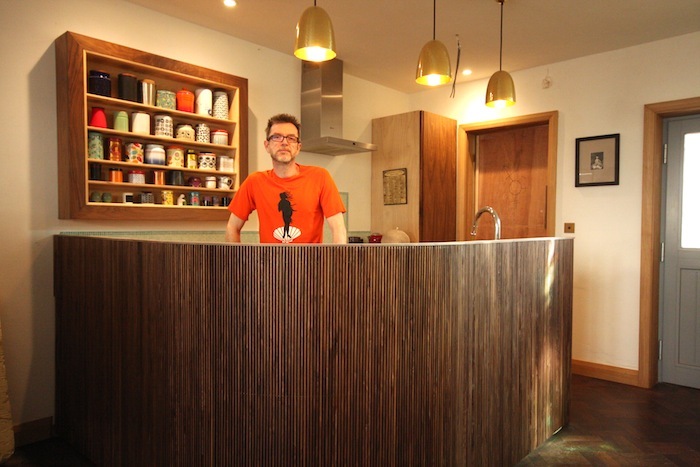 Some people might see this as an extravagance but she has helped us create a low cost kitchen that feels like something much more bespoke (and high end). It is all too easy to complicate our designs but the most ecological buildings tend to have something in common: simplicity. If the designs are simplified in the early part of the process they can often end up functioning much better. Check out our episodes with Nick Grant and Jonathan Hines. The UK system is often baffling. You will find huge variation in how it works, depending on where you are. One thing is for sure – it really helps if you engage with your local authority. Get feedback on initial designs and also, before any decision is made, check in with the planning officer to make sure everything is in order (from their perspective). 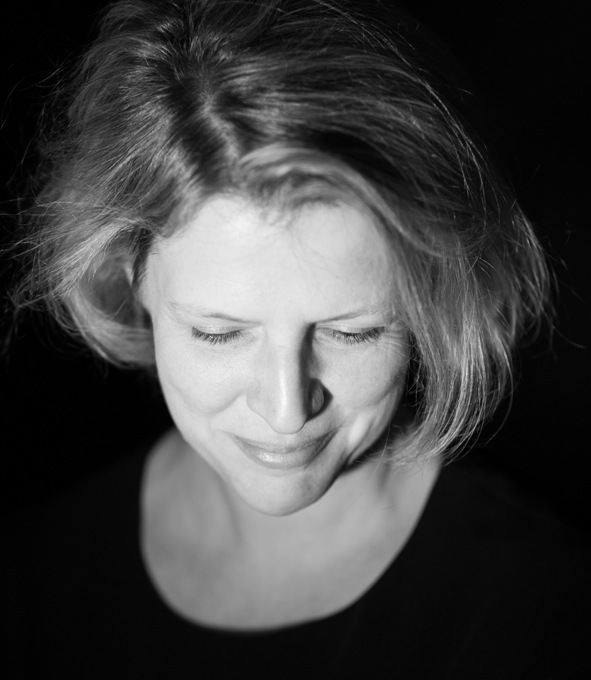 Find out more about my own planning application. Assuming you have invested in the fabric of the building (and therefore have a high performance home), it makes sense to consider whether there is any potential for generating on your project. 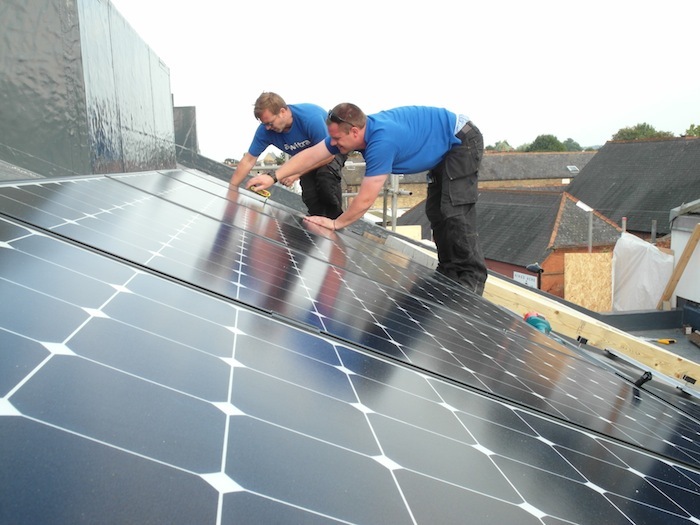 Often the most logical choice is to opt for solar PV because it's not that expensive, will look better if installed on a new build home, and can pay back in a fairly short space of time. Having a blank canvas is a huge opportunity to get as eco as possible. The problem is that there are always trade-offs. And sometimes with more money you just end up increasing the size of the building. So really this is about doing the best you can . . . and not beating yourself up. Remember, your house will be awesome! Building a house is a big project. Even if you're choosing the main contractor or package route, don't expect it to be a walk in the park! You will need time. A lot of time. For most people, building a home is a once-in-a-lifetime event! Of course the end product is important, but there is a lot to gain from the journey too. You will no doubt grow as a person. You'll also learn a lot. And you'll probably face your fair share of challenges. To get the most out of it, find an outlet for the highs as well as the lows. I've really enjoyed podcasting about my adventure. So, perhaps start a blog, keep a diary or just chat it out with friends. 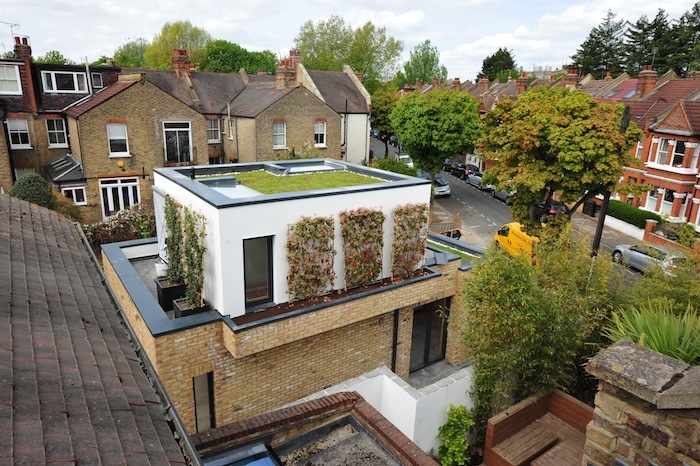 Self-builder Oliver Smallman tells us about planning, building and living in his London Passivhaus. While the Corfu project was a tremendous experience, Oliver had no intention of self-building again. 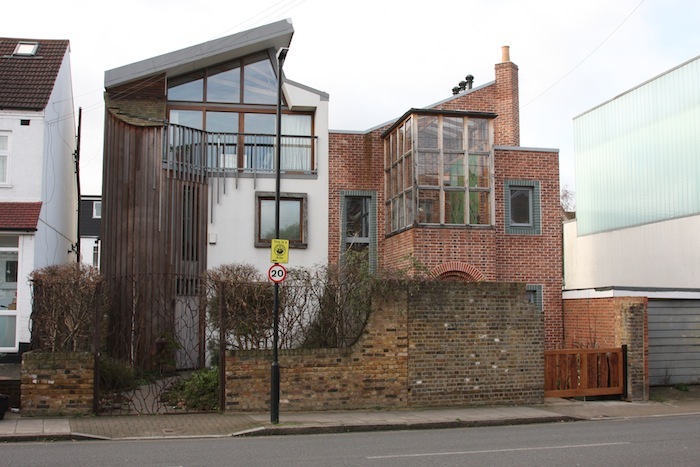 However, when he had an opportunity to buy a house in Chiswick, with an unusually large garden, he saw the chance to use new, ecological building methods to build a Passivhaus. 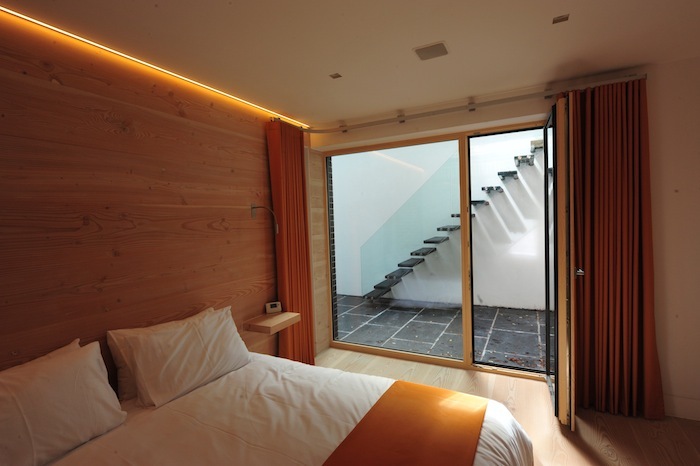 Oliver designed his Passivhaus with Richard Dudzicki, of RDA Architects. 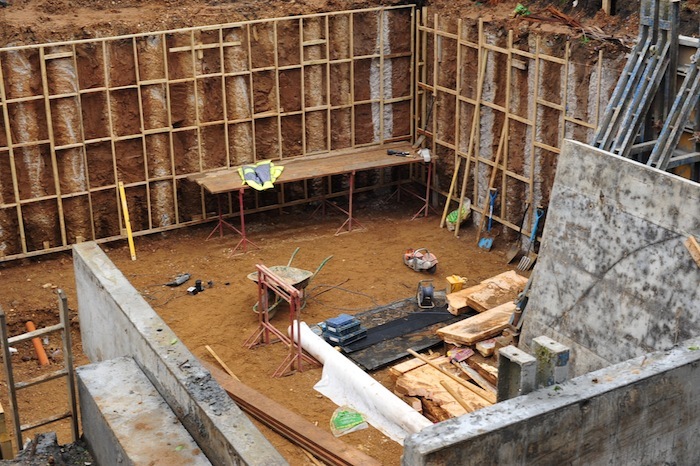 They originally planned to use Structural Insulated Panels but the site was very constrained and Richard saw the potential for sinking the house below ground. Thus they chose a piled site and a concrete build. 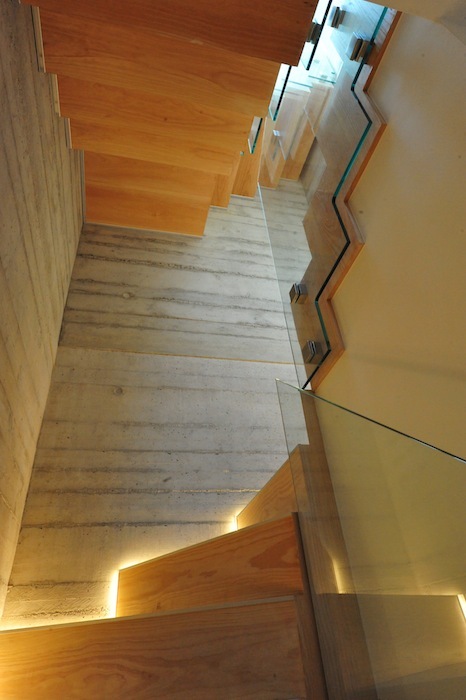 Oliver had already fallen in love with the use of boarded concrete and explains, “The concrete walls on the interior, boarded and plain and smooth, were always in the plan.” The mixture of textures is part of what Oliver calls, “concrete as a look”; they even allowed the errors of the pouring to remain. As well as using concrete, Oliver wanted to avoid the house being dark. He says lots of glazing along the south of the house works well for a Passivhaus. In terms of style, he had grown used to travelling in his work life and Oliver appreciates functional touches like having the lights over your bed and the switch at hand. “It’s a little bit “hotel-y” but it really suits me,” he says. Although the planning application was recommended for approval, about 40 local residents came to the planning meeting with extremely negative reactions and three councillors stopped the application. Rather than sacrifice his contemporary design, Oliver tried to absorb feedback to gain his neighbours’ support. This meant some meaningful compromises where the design was blended in. For example, Oliver chose to match the white exterior walls and bricks of the other houses in the road. A smaller second design allowed more green space, but the application was rejected again. Oliver then lost his appeal on the grounds that he wasn’t providing parking. Further reducing the top floor enabled off-street parking to be included in the next application. At the next vote, the same three councillors objected, but the others disagreed, so planning permission was finally granted four years into the process. Oliver notes that the final design fits the street and has become accepted. 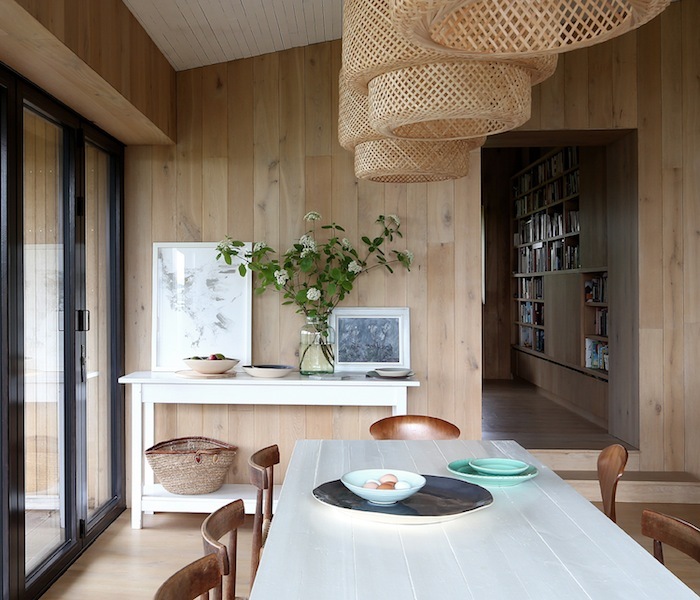 The modern house is softened by use of greenery and locally appropriate materials. Although Oliver was inspired by the use of concrete in stations like Westminster, his design contrasts it with wooden floors. In addition, he used Portland Whitener to lighten the colour. Oliver went to the Concrete Centre and signed up for the course in concrete pouring. “You can’t just phone up a concrete company and they bring you concrete and pour it and then it looks like this,” he says. Oliver also did a lot of research to find the right triple-glazed windows. 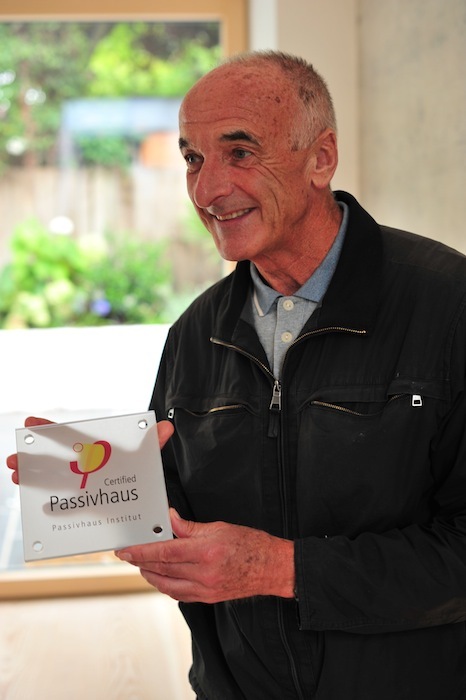 He has been happy with the certified Passivhaus windows and service provided by Internorm. The eight by eighteen metre site meant building close to boundary walls. 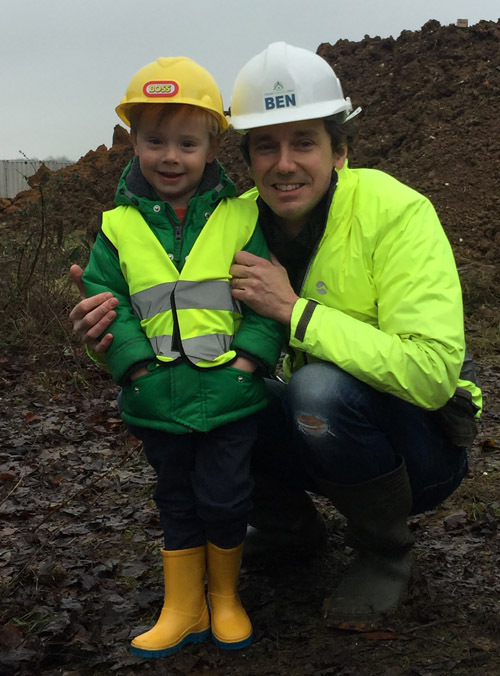 The existing house had to be underpinned and Oliver needed to protect his neighbour’s house and cherry tree while digging a four-metre hole within three metres of them. 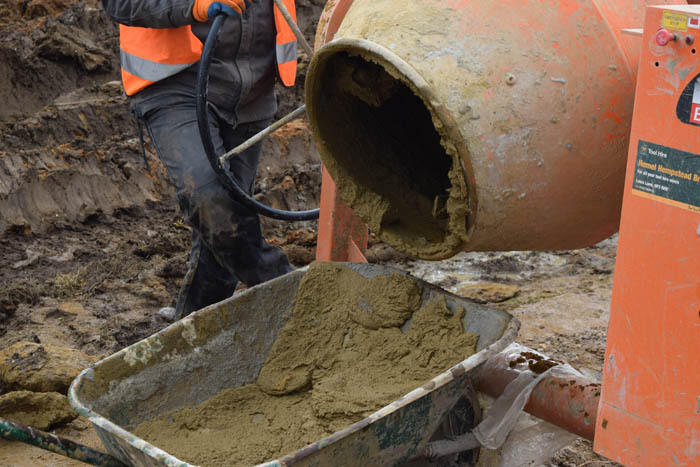 To give Oliver the security to start digging out, a specialist company was used to sink the concrete piles. Digging a large hole on such a tight site meant that space for storage and machinery was permanently on the move. As Oliver says, “It’s like a dance. 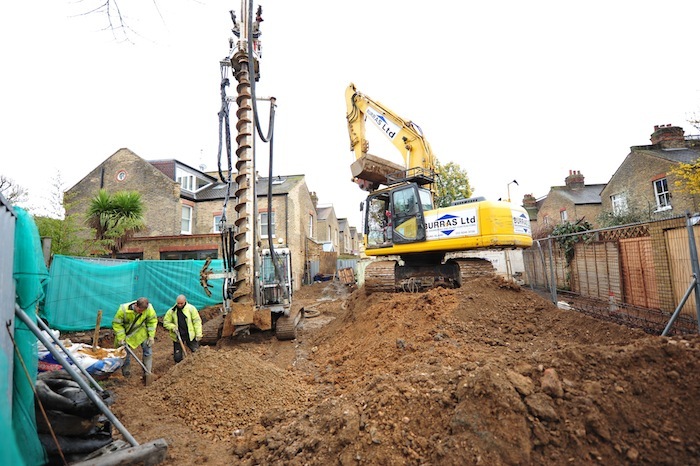 When we were piling it, the piler would be in one corner, the concrete machine would have to be in another one.” They even built a platform to put the digger on to remove the last piece of soil. When the house was complete, Oliver actually rented it out for a while. Staying in his existing draughty house meant he appreciated the difference even more when he moved in. Three things surprised him. 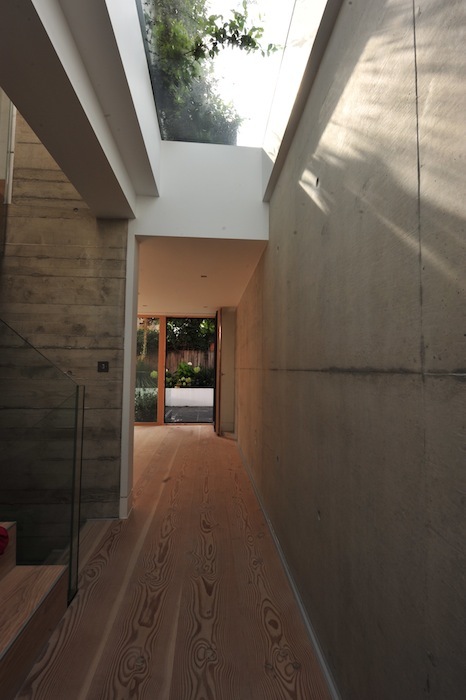 Firstly, how quiet the concrete-built, triple-glazed house is. Secondly, the fantastic air quality and thirdly, living draught free, with the same temperature everywhere. Oliver isn’t dogmatic about the Passivhaus method but is extremely satisfied. “There may well be better solutions in the future, but I’ve now had the opportunity to live in this house for nearly a year and I absolutely love it,” he says. Oliver’s house is designed to last and be efficient. As he explains, “I’m trying to build something that uses very little power and little energy, and I’ll be long gone but it’ll be a very valuable asset either for my own children or for somebody else.” In fact, he says his energy costs are easily under £500 a year. However, Oliver admits the build cost more than he’d intended, saying, “I thought I could do it for £400,000 and I built it for £600,000 finished.” Digging out the soil had been much more expensive due to bad weather. Moreover, he could have saved on some specifications but paid more for feel and durability. 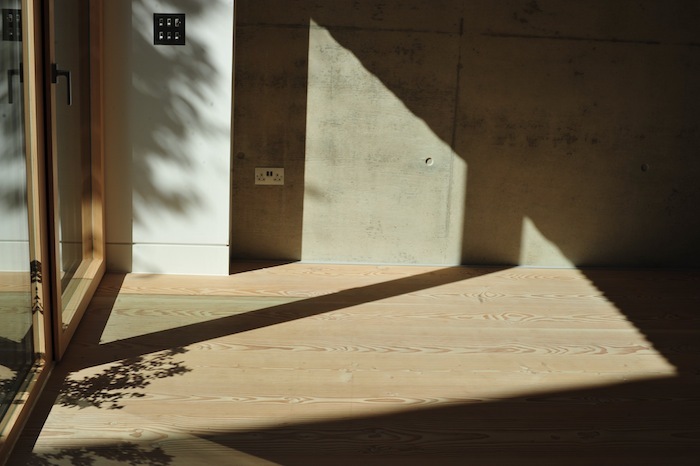 For example, he fell in love with the floor in the Saatchi Gallery. He reveals it cost “a crazy amount of money” but the untreated Douglas Fir will last hundreds of years and could be sanded a thousand times. Commercial builders tend to avoid low energy builds as they are less profitable, but Oliver remarks that the more people who put up good buildings, the more the country as a whole will benefit.